Gil Shaham can be heard on Ginastera: One Hundred, out today from Oberlin Music. Produced by harpist Yolanda Kondonassis, the new recording celebrates the centennial of Argentinian composer Alberto Ginastera and includes Gil’s interpretation of Pampeana No. 1, Op. 16 with pianist Orli Shaham. Ginastera: One Hundred also includes Orli’s performance of Danzas Argentinas, Yolanda Kondonassis in Ginastera’s Harp Concerto, Op. 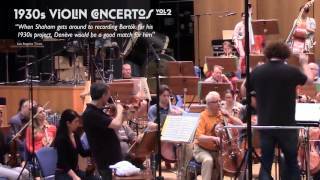 25 with the Oberlin Symphony Orchestra, and Jason Vieaux in Ginastera’s Sonata for Guitar, Op. 47. Watch the album trailer here. 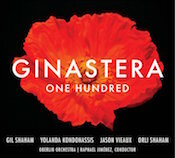 Get Ginastera: One Hundred here on Amazon, here on iTunes, and here on Spotify. 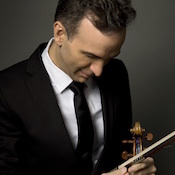 Gil Shaham kicks off a busy season on September 17, headlining the Pittsburgh Symphony Orchestra’s opening night gala concert under Music Director Manfred Honeck with a performance of Sarasate’s Carmen Fantasy in Heinz Hall. 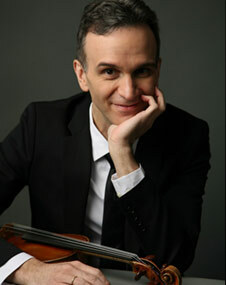 He then embarks on a three-city European tour of the Tchaikovsky Violin Concerto with Orchestra dell’Accademia Nazionale di Santa Cecilia and Music Director Antonio Pappano, making stops at the Rudolfinum in Prague on September 24, Verona’s Teatro Filarmonico on September 25, and the Wiener Musikverein on September 28. Find tickets and more information on Gil’s calendar. 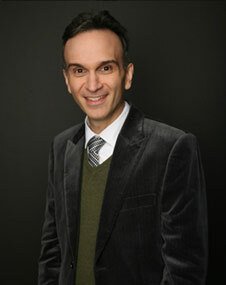 Gil Shaham pays visits to a series of music festivals this summer, making concerto appearances with major orchestras across the United States. He starts things off at the Aspen Music Festival on July 22 with Roger Sessions’ Violin Concerto with the Aspen Chamber Symphony and Patrick Summers. Next is a stop at the Caramoor Center for Music and the Arts on August 7, featuring the Brahms Violin Concerto with Pablo Heras-Casado conducting the Orchestra of St. Luke’s. 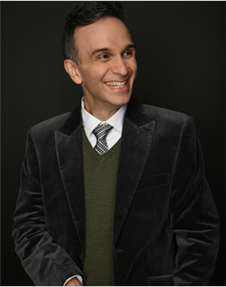 Gil joins the Chicago Symphony Orchestra and David Zinman at the Ravinia Festival on August 10 for Prokofiev’s Violin Concerto No. 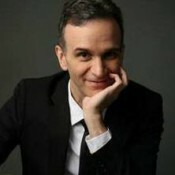 2, followed by his interpretation of Tchaikovsky’s Violin Concerto five days later with the Tanglewood Music Center Orchestra and Charles Dutoit on August 15. While at Tanglewood, Gil also presents an evening of Bach’s complete sonatas and partitas for solo violin on August 17. 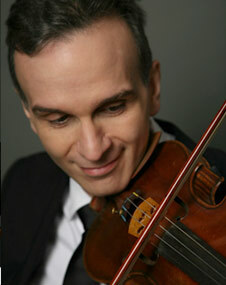 To bring his summer season to a close, Gil performs two concerts in California, first at the Hollywood Bowl on August 23 with the Los Angeles Philharmonic, Joana Carneiro, and Korngold’s Violin Concerto, and then at La Jolla Summeriest, joining the Summerfest Chamber Orchestra and James Conlon on August 26 for Prokofiev’s Violin Concerto No. 2.